Difficulty: Class 2 – 3 . Suitable for all skill levels and children aged 8 and older. Hopetown is central to all our South African clients and only 1 hour from Kimberly, and important landmark in South African history. 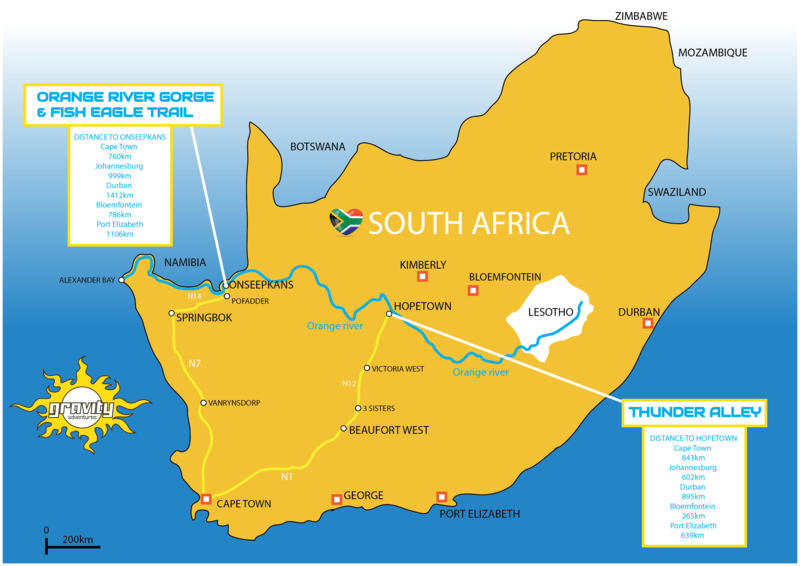 There is no need for passports as the trip operates on in South Africa and the water is very stable as it is located just downstream from Vanderkloof dam which releases daily for electricity. 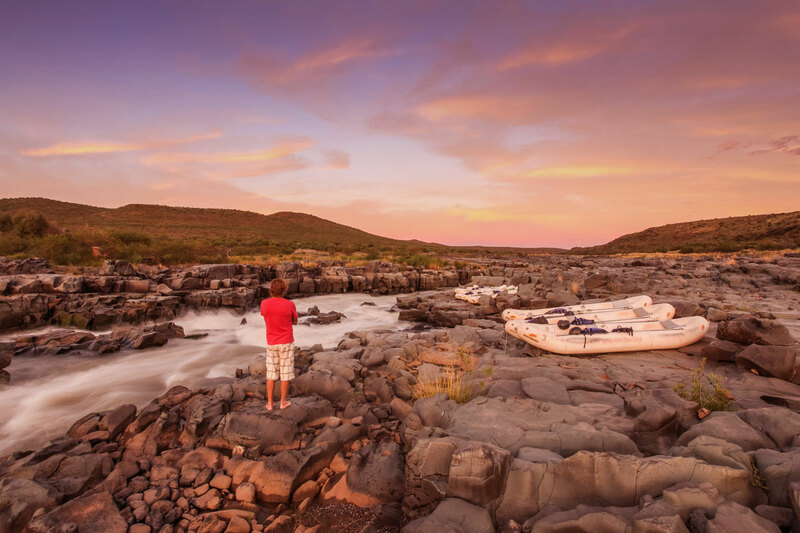 Starting just outside Hopetown in the Northern Cape, this section of the river flows through an historic area which was first settled in 1850 when Sir Harry Smith extended the northern frontier of the Cape Colony to the Orange River. Hopetown was a quiet farming area until several large diamonds, most notable the Eureka Diamond and the Star of South Africa, were discovered there between 1867 and 1869. Once the diamond rush had passed, the region returned to agriculture – today, there are several game farms in the area along the river, which makes for great game viewing! 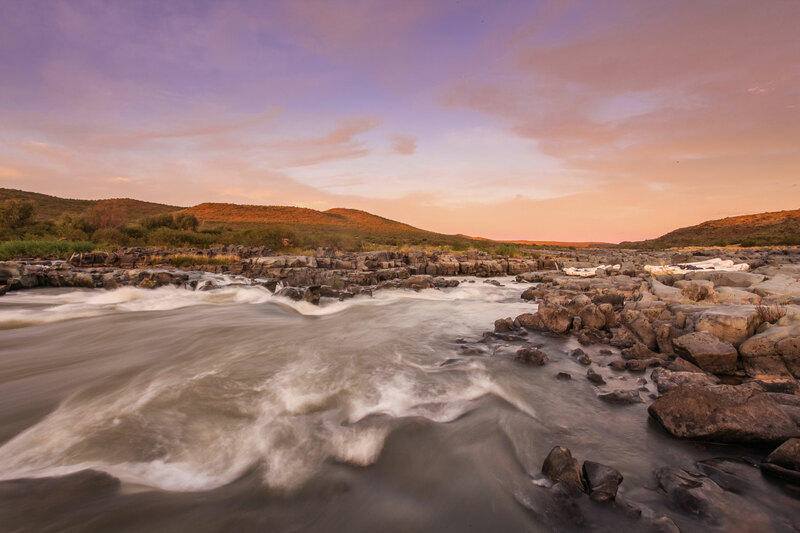 The river is fast flowing and fairly constant as it is below the Vanderkloof Dam which releases water for electricity. 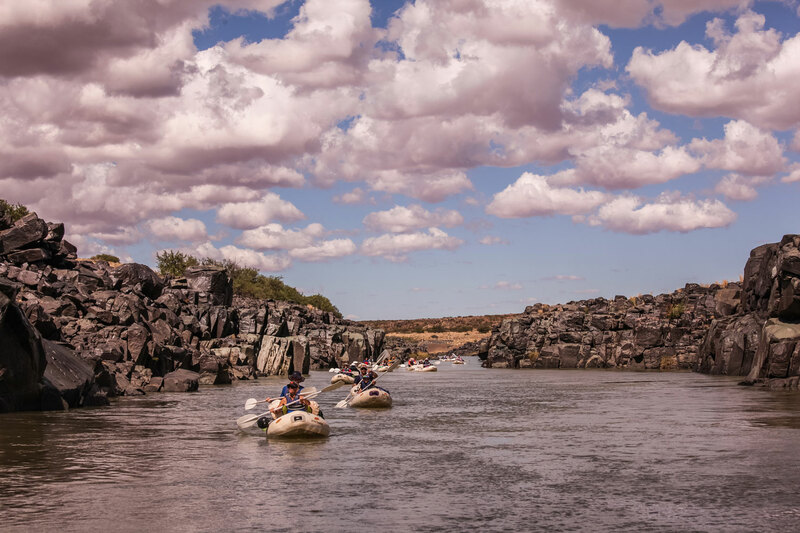 It offers many class 1, 2 and Class 3 rapids and we portage around the only class 4/5 rapid, the infamous Hells Gate! 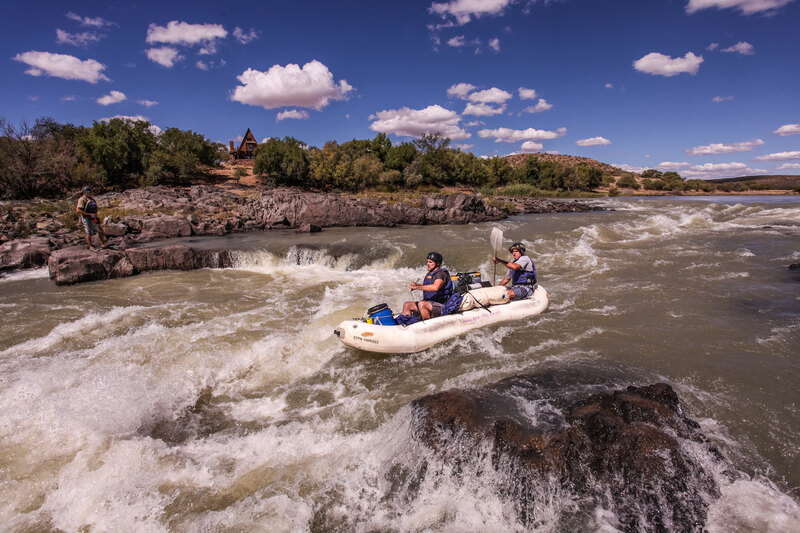 We use two-person inflatable boats that are easy to paddle and steer. We also have a raft which is very stable and perfect for less confident paddlers (dependent on water level – medium to high level only). Our standard trips are four days and five nights long. 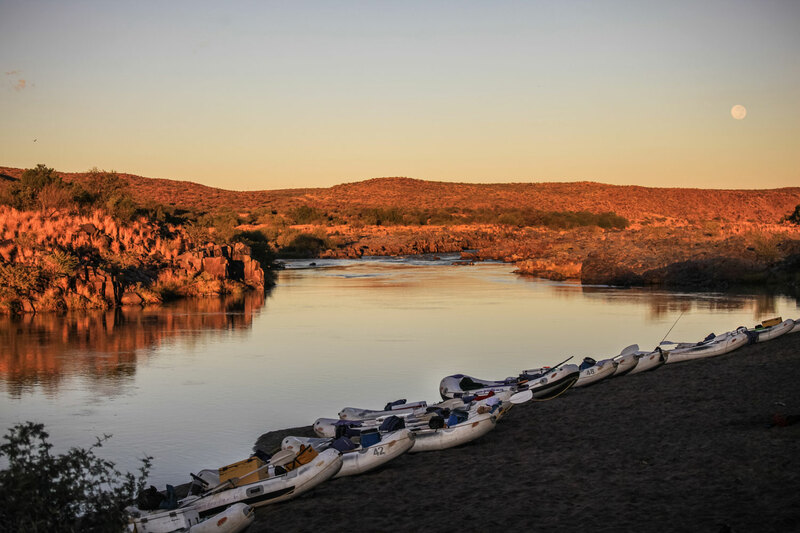 The first night is spent on the banks of the river easily accessible form Hopetown. There is an option to upgrade into chalets if available. The last night is spent on a local game farm, Witfontein, which is close to our take out. We camp on the lush green grass and there is an option to upgrade into the lodge with luxury beds and air-con! The other three nights we wilderness camp on beaches under the stars along the river banks. *Note: Our start and ends points are both in South Africa so NO border crossing or passports are required. 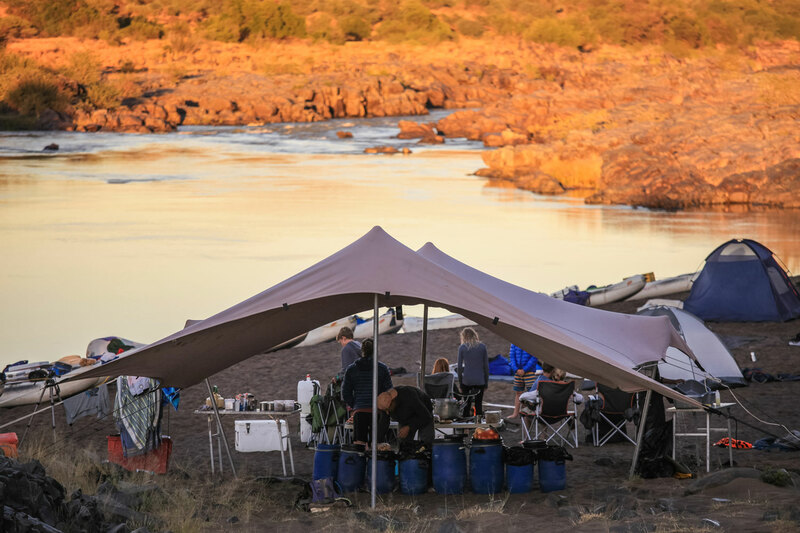 We cover around 55kms during the trip, so we spend a large portion of the day on the river, but we like to get to camp early to allow time for fishing, hikes and some downtime. 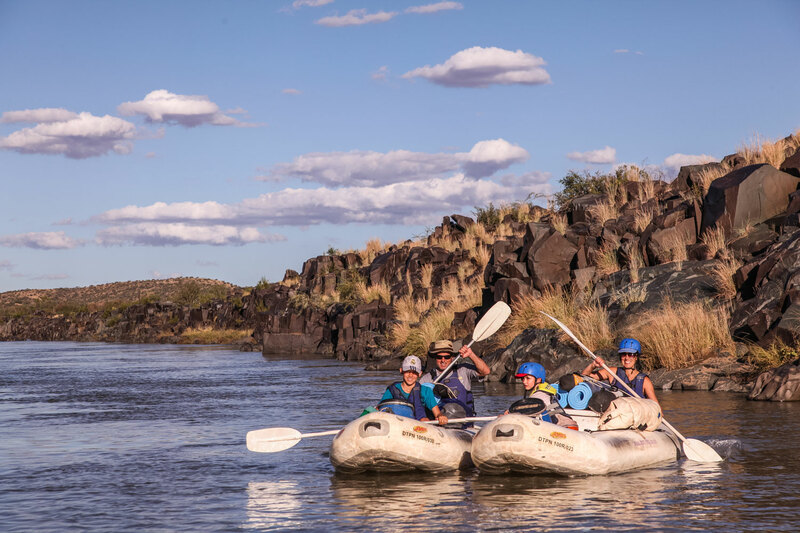 Each trip is run as a self-contained wilderness expedition – we carry everything we need with us and take everything back out again at the end. This trip will provide you with a complete break from reality – no electricity, cell phones, computers and no stress. It is truly an opportunity to recharge your batteries and reconnect with yourself, your friends and nature. 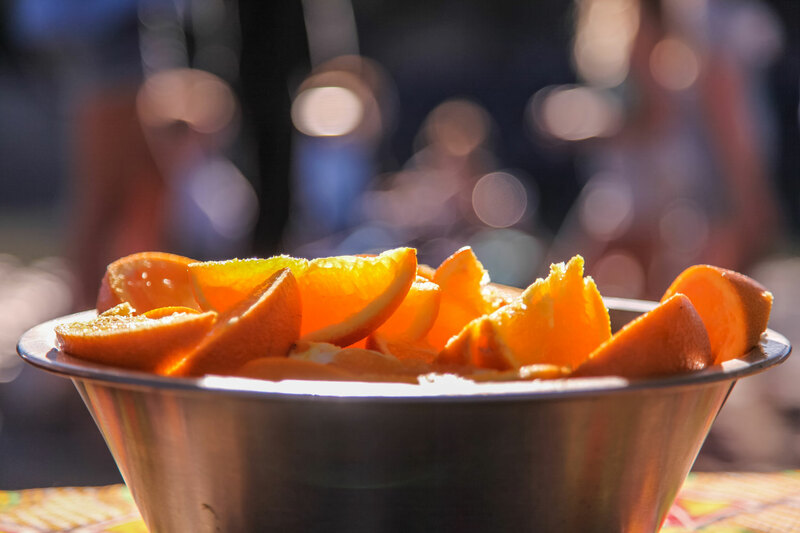 All you need to provide is your personal camping gear, small tents are advisable, and drinks of your choice. 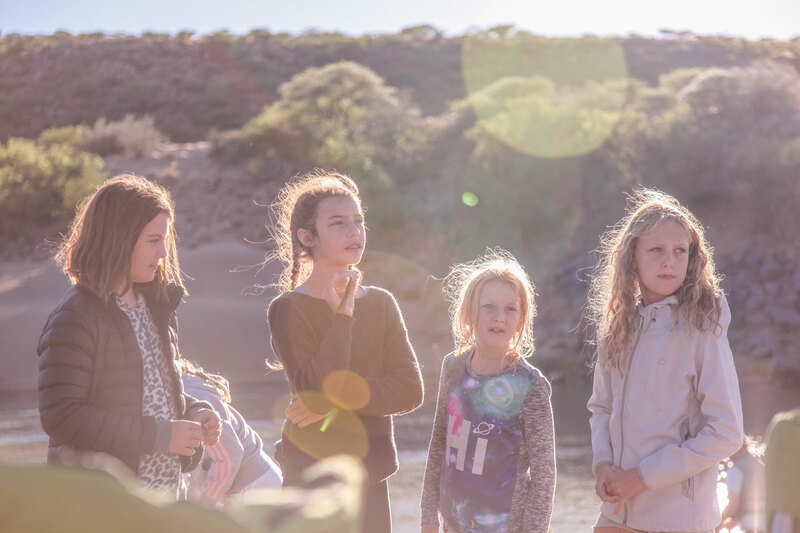 All meals, camping are included, as are qualified guides, boating and safety equipment. 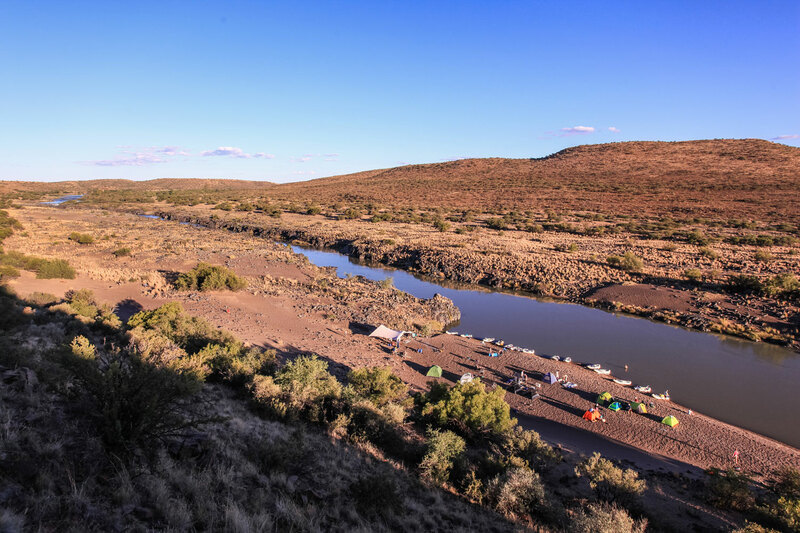 Depending on which camp we start from, there will be a bus transfer or a vehicle transfer at the start or the end of the trip to make sure your vehicles are safe and accessible after the trip. Your first evening will be spent at base camp. 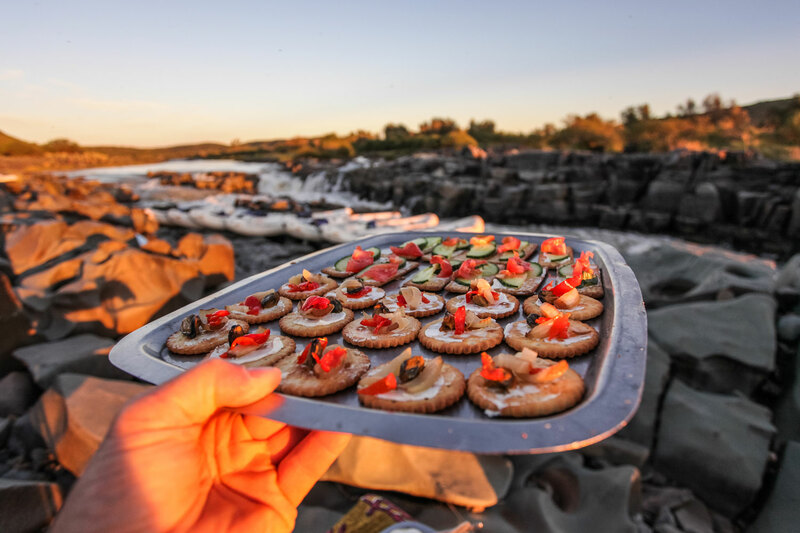 You’ll enjoy a light supper under the starry night sky around the campfire and the next morning, after breakfast, your guides will give you advice on how best to pack your dry bags for your trip down river. Before getting on the water you’ll also have a thorough safety briefing and some paddling instruction. 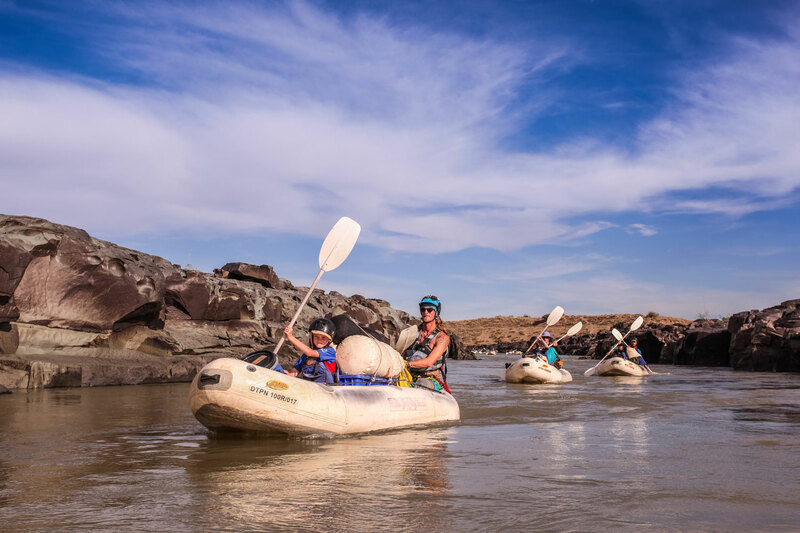 Day 1: paddling consists mainly of flowing channels, small rapids and flat water which takes you under the ‘old Hopetown bridge’, dated back to 1871. 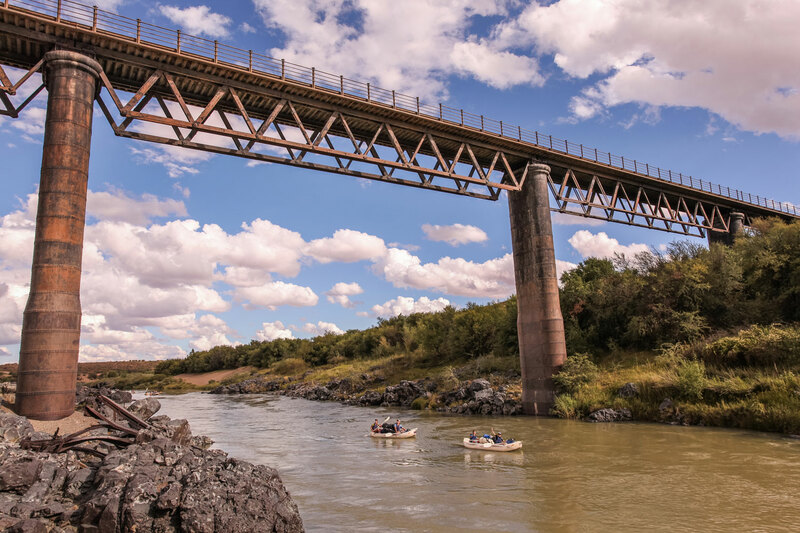 This is a steel cast bridge, the first built over the Orange river. We camp under trees on a grassy bank where the fishing is good. 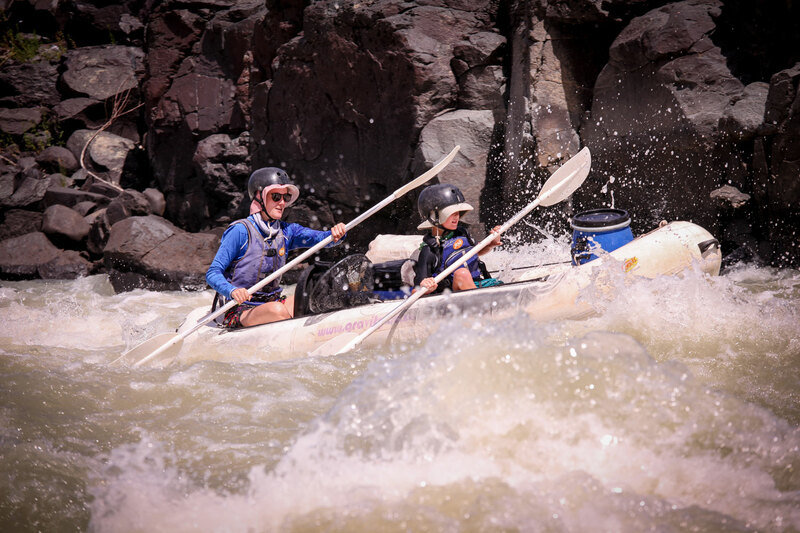 Day 2: brings bigger rapids and we enter the ‘Lava Gorge’ through ‘Hell’s gate’, a short compulsory portage. We camp on a black beach named ‘Full Moon’ beach. 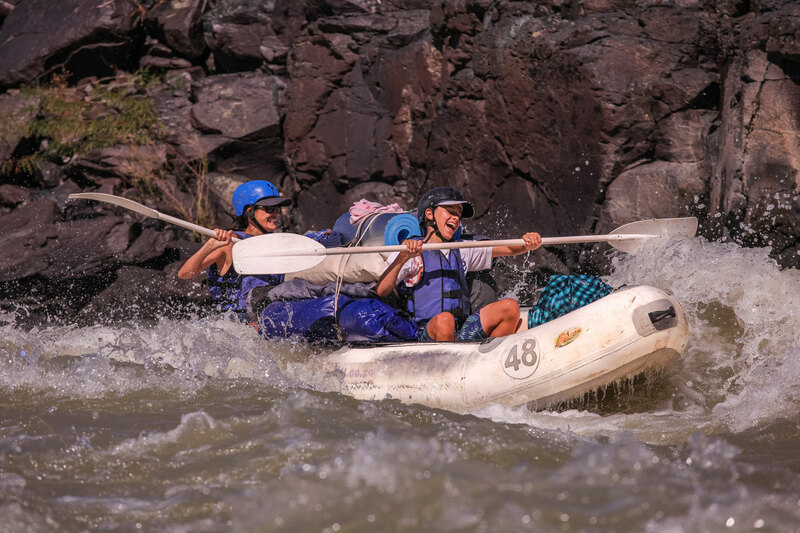 Day 3: is full of excitement with lots of class 2 – 3 rapids which are loads of fun. You spend most of the day in the shallow Lava Gorge. We camp above the gorge with a pool which offer great fishing. 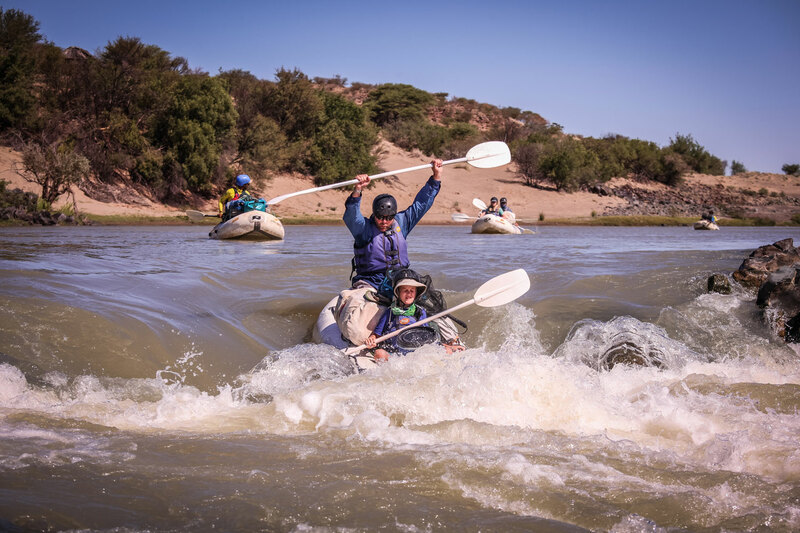 Day 4: opens up with fast flowing sections and ends off with fun rapids before take-out. We normally take out around lunch time and transfer back to the campsite we used on the first night. The last meal is enjoyed around the camp fire. 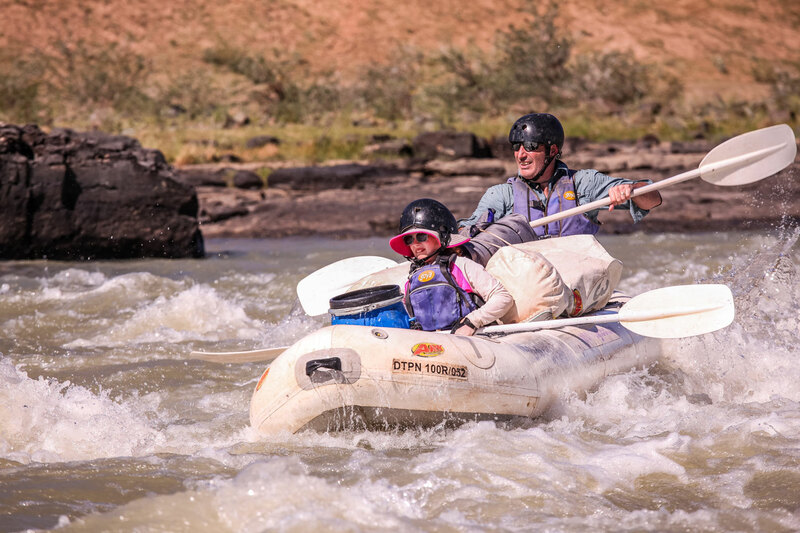 Prices include all meals, camping accommodation, guides, equipment and logistics at the river. *2018/19 Web prices may change without notice. Minimum group size for an exclusive group: 12 but 20 in high season.